Black History Month began in 1915 a half century after the 13th Amendment abolished slavery in the United States. 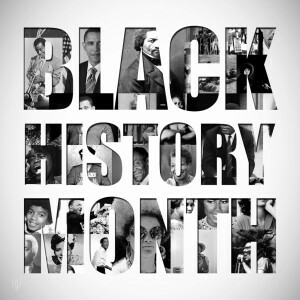 In 1976, Black History Month was officially recognized by President Gerald R. Ford, and every year since then, a theme has been designated by the current President to highlight neglected accomplishments and achievements of black Americans throughout history (www.history.com/topics/black-history-month). According to the Association for the Study of African American Life and History, the 2016 theme is “Hallowed Grounds: Sites of African American Memories.” The sites that have become “hallowed grounds” begin from the arrival of African Americans on the Mayflower, to the battlefields where freedom was fought for, to the present trials and tribulations still being fought today. Three generations of photographers join as one Baltimore family to show the strength, beauty, and pride of the African American Community throughout history. Hours: Wednesdays – Fridays: 1 p.m. – 6 p.m.
Saturdays: 11 a.m. – 3 p.m.
Free tours are extended every Saturday from 12 p.m. – 4 p.m.
Tour the exhibit “And A Little Child Shall Lead Them” and enjoy a live performance where performers will portray the many ways in which youth fought for civil rights.